We have a glut of passion fruit at the moment, with the vines in our back garden dropping heaps of them every day. I know this won't continue, though, so I've been freezing the pulp for later. 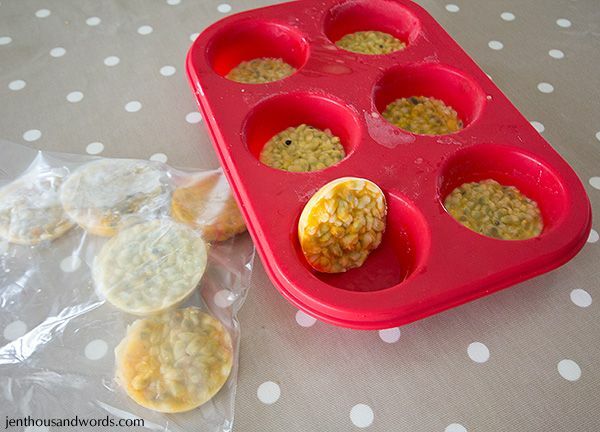 I simply cut each one open and scoop out the pulp into a silicone muffin tray. 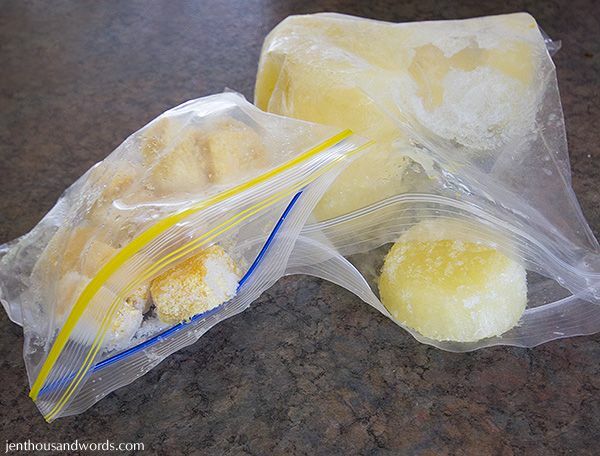 When it's frozen I pop them out into a plastic bag, then back into the freezer again. 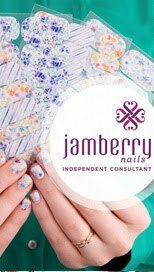 They can be thawed and used in recipes, or put into a smoothie while still frozen. I do this with lemons too - a while ago a friend gave me a bag full of lemons, so I took some time to zest and juice them, freezing the juice of one lemon in each muffin tin hole, and the zest of one lemon in each ice cube tray hole with a tiny bit of water, just enough to hold the zest together when frozen. Now I can enjoy "fresh" lemon and passion fruit treats any time of year!